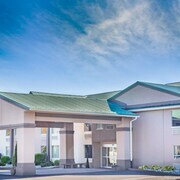 Located in the mountains, this family-friendly resort is within 9 mi (15 km) of Great Wolf Lodge Waterpark, Camelbeach Mountain Waterpark, and Aquatopia. The Crossings Premium Outlets and Camelback Ski Area are also within 9 mi (15 km). 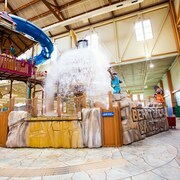 This family-friendly Scotrun resort is within 2 mi (3 km) of Great Wolf Lodge Waterpark and The Crossings Premium Outlets. Camelbeach Mountain Waterpark and Aquatopia are also within 6 mi (10 km). 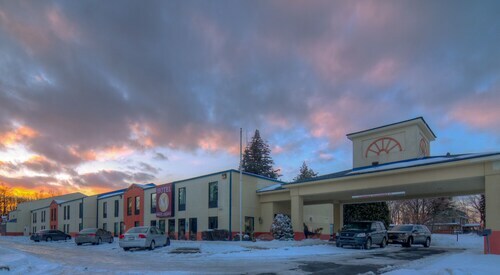 Located near the slopes, this Lake Harmony resort is within 6 mi (10 km) of Big Boulder Ski Area and Jack Frost Big Boulder and close to winter sports such as skiing lessons and snow tubing. Hawks Falls and Pocono Raceway are also within 9 mi (15 km). 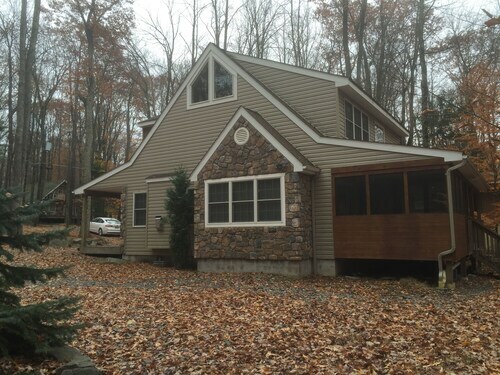 Situated in Pocono Lake, this romantic vacation home is 8.7 mi (14 km) from Pocono Raceway and 10.1 mi (16.3 km) from Jack Frost Big Boulder. 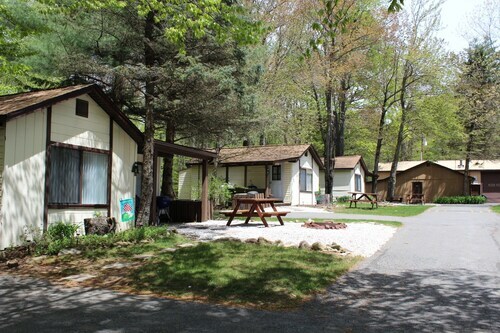 Big Boulder Ski Area and Tobyhanna State Park are also within 16 mi (25 km). 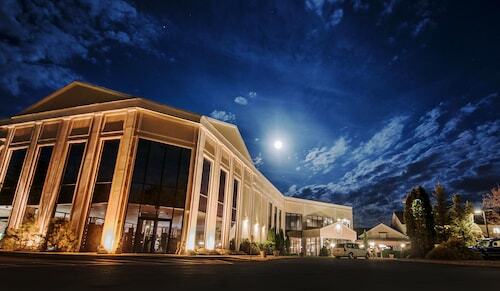 Situated in the mountains, this spa hotel is within 9 mi (15 km) of Great Wolf Lodge Waterpark, The Crossings Premium Outlets, and Camelbeach Mountain Waterpark. Camelback Ski Area and Aquatopia are also within 9 mi (15 km). 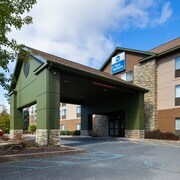 Situated in East Stroudsburg, this hotel is 1.4 mi (2.2 km) from Terra Greens Golf Club and 1.5 mi (2.3 km) from East Stroudsburg University. Pocono Medical Center and Delaware Water Gap National Recreation Area are also within 2 mi (3 km). 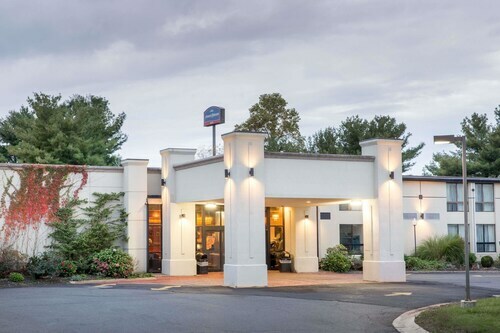 Situated in the mountains, this hotel is 2.6 mi (4.1 km) from Stroud Mall and within 6 mi (10 km) of The Crossings Premium Outlets and Great Wolf Lodge Waterpark. 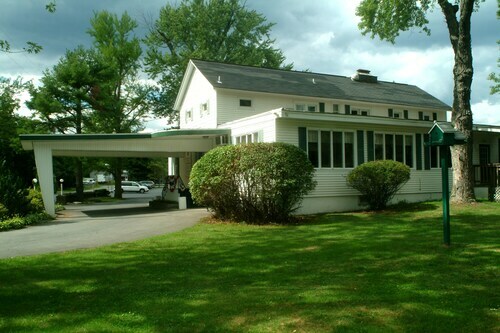 Pocono Mountains Visitors Bureau and Stroud Mansion are also within 6 mi (10 km). 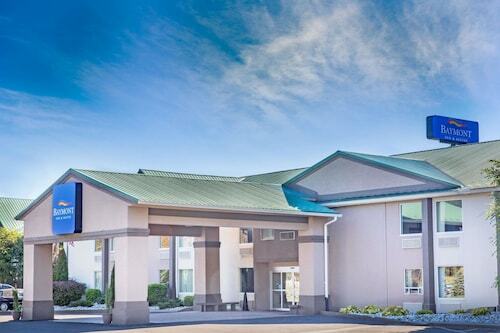 Located in a rural location, this family-friendly hotel is within 6 mi (10 km) of Stroud Mall, Aquatopia, and The Crossings Premium Outlets. Stroud Mansion and Sherman Theater are also within 6 mi (10 km). 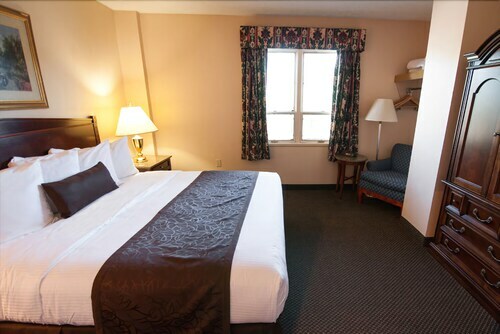 Located in the historical district, this family-friendly resort is within 9 mi (15 km) of Great Wolf Lodge Waterpark, Camelbeach Mountain Waterpark, and Aquatopia. 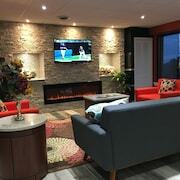 The Crossings Premium Outlets and Buck Hill Golf Club are also within 9 mi (15 km). 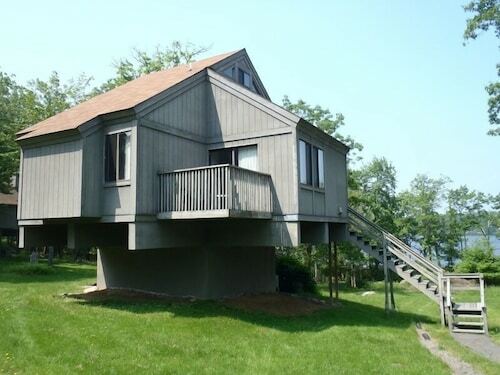 Situated on a lake, this villa is 1.2 mi (1.9 km) from Mt. 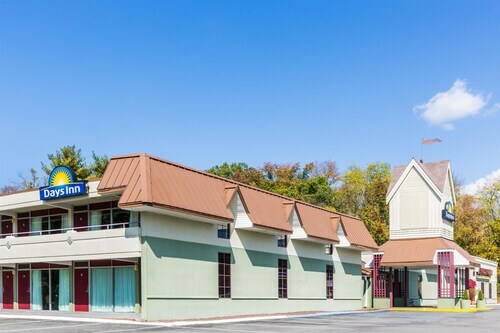 Laurel Pocono Mountains Performing Arts Center and 2.9 mi (4.6 km) from Bushkill Falls. Delaware Water Gap National Recreation Area and Pocono Indian Museum are also within 9 mi (15 km). 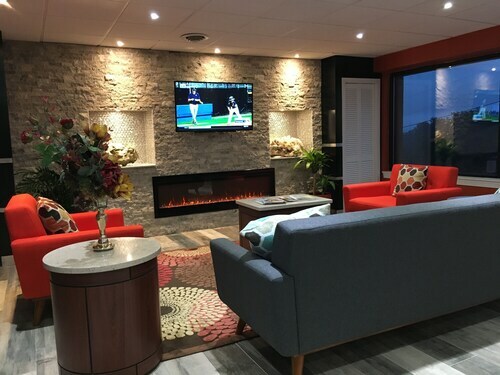 Set in Tobyhanna, this family-friendly cottage is within 9 mi (15 km) of Tobyhanna State Park, Great Wolf Lodge Waterpark, and The Crossings Premium Outlets. 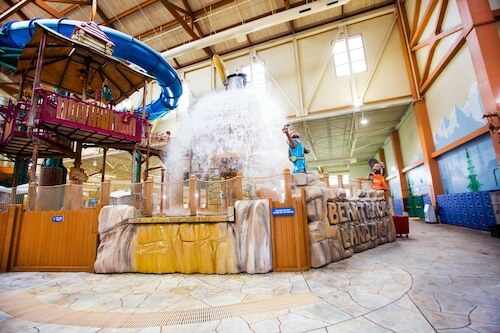 Camelbeach Mountain Waterpark and Aquatopia are also within 12 mi (20 km). It’s not a family vacation if you can’t bring the entire clan with you, is it? Next time you have a few days off from work, plan a family-friendly getaway. 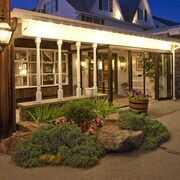 Set off on an adventure the entire family will love, and book your stay at one of the kid-friendly hotels in Pocono Mountains. Your little ones are the most important thing in your life, so make sure they enjoy your accommodation as much as you do. From a kids-only room service menu (macaroni and cheese, anyone?) to special perks like in-room video game consoles, these lodgings provide a little something extra for the smaller members of your crew. 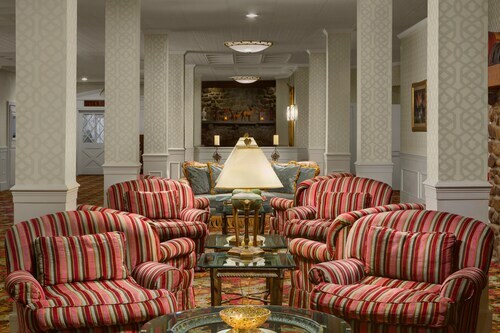 The best family-friendly hotels in Pocono Mountains may even offer playgrounds and other activities to keep the kiddos busy. What’s more, some hotels provide a babysitting service so you can get a few hours to yourself! Whether you’re traveling with one small child or hauling around your entire extended family, Travelocity is here to help. 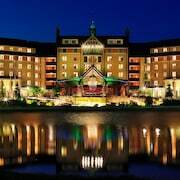 Let us hook you up with hotels for kids in Pocono Mountains that will keep your youngsters happy without breaking the bank. You can save even more when you bundle your flight and hotel together, so what are you waiting for? Grab your family and get ready to explore! Everything was pretty pleasing the only thing that was a bit disappointing was that the pool was extremely cold and there was no hot tub. Maybe in the future that can be an area to update furthermore. The front desk receptionist Erica was super pleasant and engaging . Cleaning crew were all very polite and accommodating we had numerous rooms which so happen to be on different floors so we crossed paths with quite a few crew members. The only person who we were a bit dissatisfied with was Jen. Not very approachable and helpful and seemed to be a bit all over the place. Check in was great. Room was good. Tv and outlets outdated. Trash outside everywhere. Bartender Friday night very rude. Only wine was barefoot which costs $8 a bottle but you charge $9 a small glass. Cheap wine is awful. Location in the older neighborhood. Restaurants near by and in walking distance. 1 month ago by A verified traveler from Park Ridge, IL.